New research published in Genome Biology finds that methicillin resistant Staphylococcus aureus (MRSA) emerged years before the antibiotic methicillin was used in clinical practice, overturning the conventional wisdom that the widespread use of the methicillin was the driving force behind the evolution of MRSA. Here to tell us about their surprising discovery are authors of the research Catriona Harkins and Mathew Holden. The rise in antibiotic resistance (AMR) in bacteria causing infectious diseases is a growing global health concern. The problem is exemplified by the opportunistic pathogen Staphylococcus aureus, which is responsible for a wide range of infections, and has proven to be particularly successful in adapting to our antimicrobial interventions, having evolved resistance to almost every sequential drug introduced to target it. When penicillin was introduced in the early 1940s, it revolutionized modern medicine. However within just a few years of this wonder drug’s induction, penicillin-resistant S. aureus began to appear. In 1959, the semi-synthetic β-lactam antibiotic methicillin (Celbenin) was introduced in to clinical practice in the UK as an alternative to penicillin due to increasing problems with resistance. A pre-emptive screening program of more than 5,000 S. aureus isolates undertaken by the Staphylococcus Reference Laboratory in the same year of the drug’s introduction identified methicillin resistant S. aureus (MRSA) for the first time in 1960, followed only two years later by its detection in Denmark. These reports heralded the emergence of the first endemic MRSA clone in Europe. Since then, MRSA has become a dominant feature of antibiotic resistance landscape. 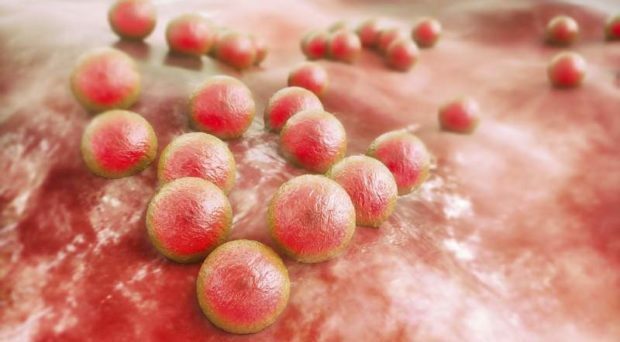 Epidemiological evidence has always suggested that MRSA arose after the initial clinical use of methicillin, and as an adaptive response to the drug. The resistance occurring when S. aureus horizontally acquired the methicillin resistance gene, mecA, carried on a mobile cassette of genes known as the Staphylococcal cassette chromosome mec (SCCmec) element. Since the first MRSA was detected in 1960, several other successful MRSA clones have emerged, and multiple types of SCCmec identified. Genomic studies tracing the emergence and spread of the major pandemic hospital-adapted MRSA clones have strengthened the idea that the evolution of methicillin resistance was in response to the widespread use of methicillin. The globally successful ST239 lineage originated in the post-methicillin era of the mid 1960s, whilst EMRSA15, one of the most successful pandemic MRSA clones of recent years and the dominant MRSA in Europe currently, emerged in the middle of the 1970s. When did the first MRSA emerge? Earlier than you would expect. Preserved for decades in the culture collection of the Staphylococcus Reference Laboratory at Public Health England (PHE) in the UK are representatives of the earliest MRSA isolates ever identified. In collaboration with PHE, the Wellcome Trust Sanger Institute, and scientists from Denmark and the US, we sequenced and analyzed the genomes of 209 of these isolates collected from the UK and Denmark between 1960 and 1989, reconstructing the evolutionary events leading to the genesis of MRSA. MRSA originated in the period before the drug’s first usage by 13 years or more. To address the question of when MRSA first emerged we used temporal phylogenetic methods to estimate the time point at which the most recent common ancestor of both the recipient strain as well as the SCCmec element arose. What this revealed was that the ancestral backgrounds of both the strain, and the element, long-predated the introduction of methicillin into clinical practice, and that MRSA originated in the period before the drug’s first usage by 13 years or more. This surprising finding overturned the conventional wisdom that the widespread use of methicillin, and the selective pressure that it created, was the driving force responsible for the evolution of methicillin resistance in S. aureus. In the archaic MRSA population we identified resistance genes and mutations to most of the major classes of antibiotics introduced during the 1950s and 1960s, the so-called golden era of antibiotics. Amongst these was a mutation in a ribosomal protein, RpsL, responsible for resistance to streptomycin, the first aminoglycoside antibiotic. Crucially this mutation was found in all the archaic MRSA and was predicted to have arisen around the same time as the methicillin resistance. From our historical analysis it would appear that it was penicillin prescribing in the 1940s had the unforeseen effect of driving the emergence of MRSA. Notably, streptomycin was first trialled as an anti-tuberculosis therapy in the UK in the mid-1940s, and not originally used to treat S. aureus infections. S. aureus is a component of the human microbiota, therefore the development of streptomycin resistance is likely to have arisen as a collateral consequence of the first use of streptomycin to treat other pathogens such as Mycobacterium tuberculosis. When antibiotics are prescribed, the focus on stewardship is often the impact it may have on the pathogen treated. However cumulatively, we are actively influencing living, evolving microbial populations that include opportunistic pathogens, that will have future repercussions for us all. From our historical analysis it would appear that it was penicillin prescribing in the 1940s had the unforeseen effect of driving the emergence of MRSA. Notably, the mecA gene encoding methicillin resistance also confers resistance to other beta-lactam antibiotics including penicillin. mecA therefore provided S. aureus with another mechanism to resist penicillin in addition to the beta-lactamase enzyme, that was originally identified as the cause of penicillin resistance in the 1940s and 1950s. Consequently, when methicillin was introduced in 1960, it unmasked a cryptic mecA carrying population and provided the selective pressure that drove its success. As a cautionary lesson from history, this study illustrates how antibiotic usage influences the pathogen populations we face, and how new agents, introduced to circumvent known resistance mechanisms, can be rendered ineffective by silent adaptations that have already arisen. This is but one of the many challenges we face in the fight against antimicrobial resistance, but one which can be tackled by establishing effective globally pathogen surveillance networks for detection and monitoring of AMR.